Bapple Books | Smart. Tough. Loved. Enough. Welcome, and thanks for visiting! Bapple Books is the realization of my dream to become a children’s author and lifestyle/parenting blogger. 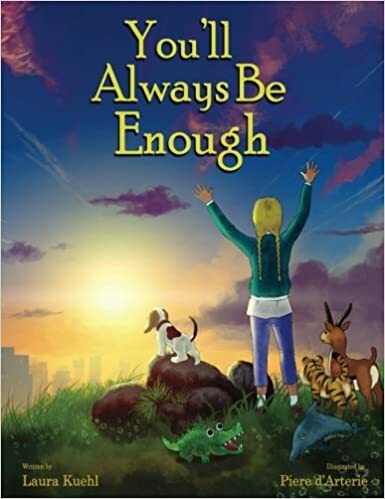 My first book, You’ll Always Be Enough, is sure to delight young children – whether reading independently or with an adult. Within every page a message of self-love is flawlessly weaved. The blog portion of the website hosts a variety of parenting and lifestyle topics, aimed primarily at mothers. A substantial portion of profit from both the blog and my books will be donated to a localized charity working directly with children. Just by visiting my site you’ve helped donate, so please, look around! Join the Bapple Books mailing list to get notifications on new articles and be the first to know when a new book is released. In 2018, CASA of the Fox Cities will recieve our profit donation. CASA advocates for abused and neglected children in the court system. To learn more about CASA, click here. To learn more about the history of Bapple Books, click here.